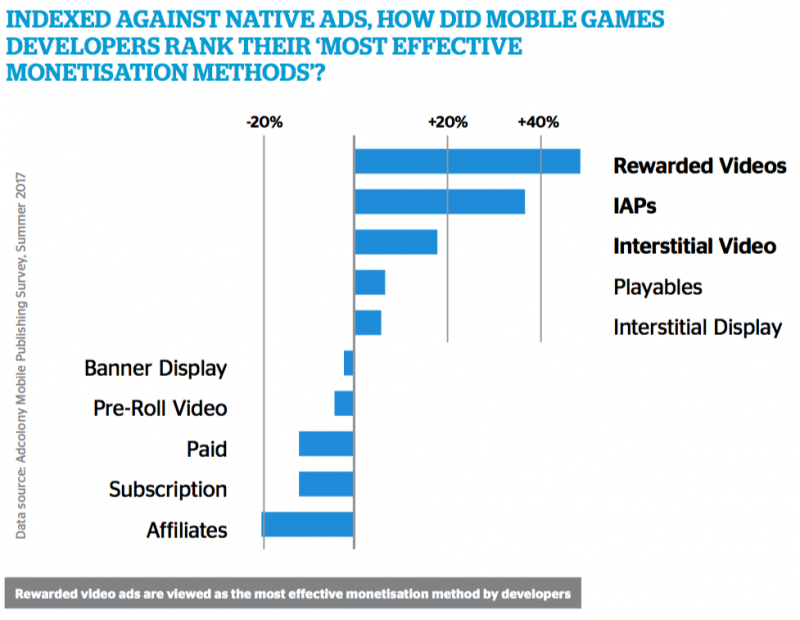 Here are some tips about how rewarded video ads solve the issue of making a successful IAP-monetised game for developers. This article is an extract from the “Mobile Games Advertising Report 2018” by PocketGamer.biz and Mintegral. You can download the full report here. One of the most exciting results of the rise of rewarded video ads has been the emergence of new types of mobile games. The reason for this is clear. 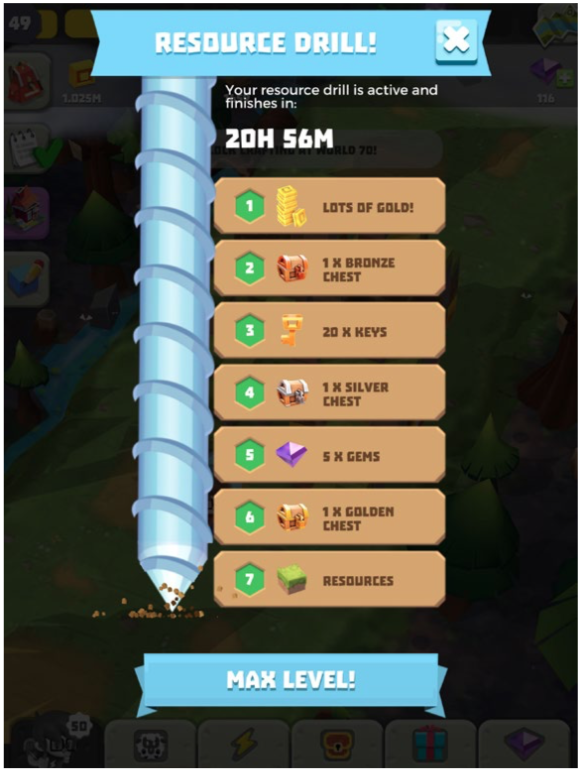 To generate revenue from IAPs, a mobile game needs to offer long term engagement with short term missions building to goals such as unlocking a rare in-game item or grinding out a character’s level cap that may take weeks or even months to complete. Typically such games also have a strong social element, although this can be as varied as competitive PVP raids or sharing resources with your friends. In this context, it is much more difficult to make a successful IAP-monetised game that uses simple arcade gameplay and lacks long term hooks. Yet such experiences fit very well with mobile usage patterns, which revolve around frequent but short sessions as people play games in bite-sized chunks throughout their day. 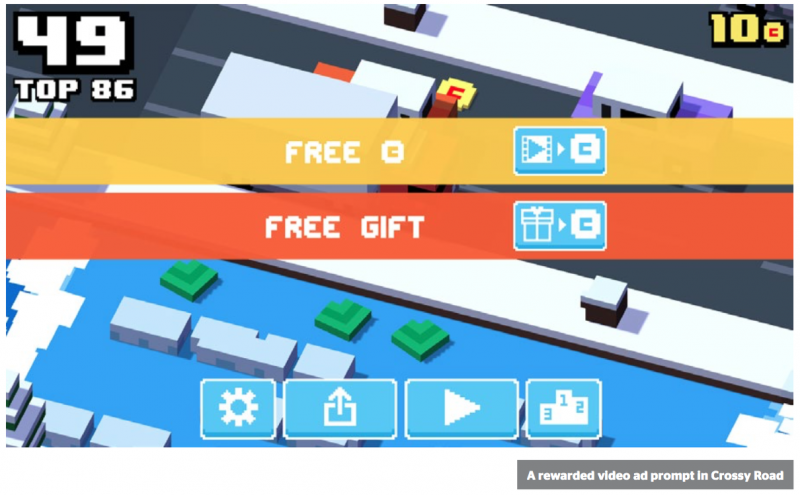 The rise of rewarded video ads has solved this issue for developers; something first highlighted by the success of Australian indie Hipster Whale’s Crossy Road, which was released in 2014. Combining the joke about why the chicken crossed the road, with the endless gameplay of Konami classic Frogger, all wrapped in a funky pixel art style, Crossy Road was a typical easy-to-play hard-to-master experience. Based around beating your high score, each game session was short, ending whenever the player’s character collided with traffic or the environment. 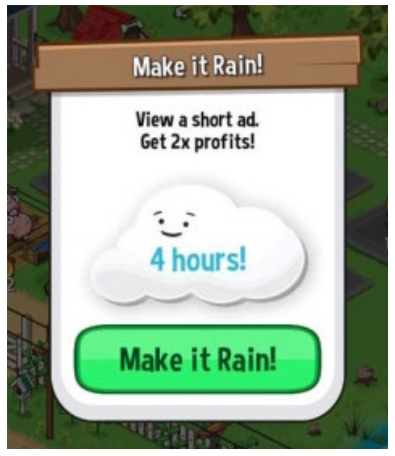 This state created an obvious opportunity to launch a rewarded video ad, which gained a player some in-game currency which could be used to unlock more playable characters. Significantly, Crossy Road only has one in-game currency so the value of watching ad was clear for players; watching an ad was the same as spending real money, albeit gifting much smaller amount of currency. In that context, Crossy Road was the right game, released at just the time when rewarded video ads were gaining traction, both with advertisers and with players. The result was incredible success, with Hipster Whale announcing it generated more than $3 million from rewarded video ads in the game’s first 90 days. It was an impressive performance, but given IAPs still accounted for around 70 percent of Crossy Road’s overall revenue, advertising provided additional, not primary, revenue. But the emergence of a new mobile game genre turned that equation on its head. Most simply put, idle games are hyper casual, single player experiences that play themselves. Featuring highly repetitive tasks – that’s why they’re also referred to as clicker games – the point of idle games is that whenever a player logs in, they collect the resources their in-game avatars have found for them. The fun is then deciding how to spend these resources, with typical options including levelling up gear and unlocking new characters. In design terms, then, these games are devoid of gameplay, instead focusing all their activity on providing simple but long term metagame options for players. Yet because this simplicity lacks meaningful social hooks or deep psychological engagement for players, it’s difficult for idle games to be profitably monetised with IAPs. Their simplicity and accessibility makes them ideal in terms of appealing to a wide audience and generating very high levels of short term engagement, however. In turn, this makes them ideal to be monetised through rewarded video ads. One company in the vanguard of the movement is Finnish studio Futureplay Games, which was set up in 2015 with the express purpose of making games it labels “view-to-play”: that is games that rely on video ads for the majority of their revenues. CEO Jami Laes says the results from its first three games, Farm Away, Build Away and Craft Away are even better than he had hoped. “The potential of rewarded video ads has definitely surpassed our expectations and we’ve been able to grow the company profitably over the past two years,” he explains. Futureplay’s games also contain IAPs but they account for around a quarter of its revenues, the rest coming from in-game ads, although Laes explains its games are designed in such a way to encourage players to consume both. “Of course most players don’t buy IAPs, but our highest spenders are also avid viewers of our ads,” he explains. In this context, it’s been interesting to see how Futureplay has optimised its integration of rewarded video ads over time in its games. Farm Away used them to discreetly, for example to double collected resources, while new game Craft Away encourages players to consume multiple ads one-after-another to build up big combo rewards. The overall result is Futureplay generates 5 ad impressions per daily active player, which gives average revenue per daily active player of around $0.10 from advertising revenue. This compares well with Zynga’s metric of $0.11 from all revenue sources, albeit one generated across a much larger audience.